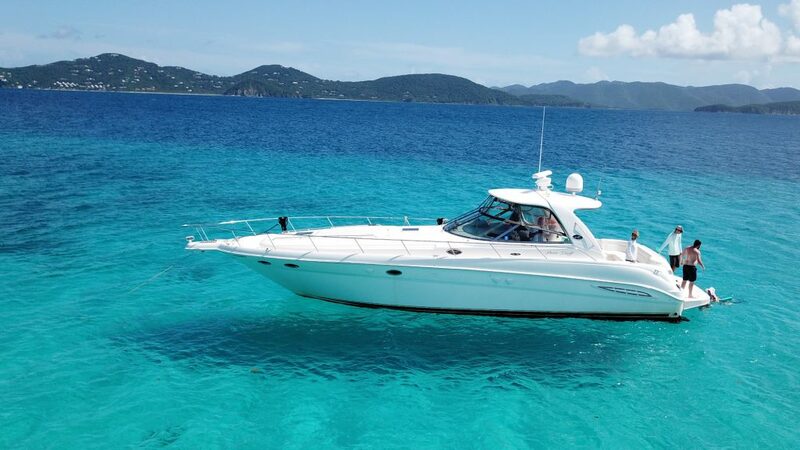 Take It Easy Custom Charters is Cruising to the USVI & BVI Today! Take It Easy private yacht boat service is ready for your vacation! Take It Easy Custom Charters is Cruising Again in the US and British Virgin Islands! ...We’re back cruising on the gorgeous turquoise-blue waters of the Caribbean for the 2017-2018 season! Even after the 2017 hurricanes, the beaches here on the islands of the USVI and BVI are still the most beautiful in the world. We’ve got a whole list of stunning destinations, beaches and quintessential Caribbean beach bars that are open and ready to make this the most memorable vacation ever! As island natives, we know the best Caribbean destinations to have an amazing tropical experience for your family or group. From local fare to funky beach bars to secluded snorkeling spots, just let us know the type of experience you’d like to have and we’ll take you there aboard one of our luxury charter yachts. We can easily host wedding groups, family gatherings & reunions and corporate functions. December 13, 2017 – Take It Easy Custom Charters is Cruising Again in the US and British Virgin Islands! Good news for St. Thomas and St. John. The cruise ships are back in town so the economy is humming and getting a much-needed boost. According to the Travel Weekly Web site, the USVI had 50% of its pre-storm business arrive in November 2017 and 90% is slated for December 2017, with cruise travel returning to pre-storm levels in January 2018. So, if you were booked on a cruise and it changed destinations after the hurricanes, check again. You may be heading back to the awesome island of St. Thomas! We look forward to your return. 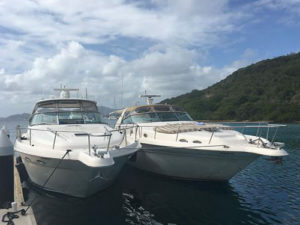 Please call or text us at 340-677-1320 to start planning a fantastic charter cruise vacation in the USVI or BVI with expert, local guidance by Captain Dana Paradise. Of course, after taking a fantastic cruise aboard Take It Easy Custom Charters, there’s lots of shopping to do in St. Thomas, home of the busiest cruise ship port in the world. The Havensight shops, restaurants and businesses on Main Street along the ship pier are open for business, as well as many attractions and businesses throughout the island. We know who’s open so contact us about what to do after a private charter yacht in the USVI with Take It Easy. Commercial carriers Delta, American and JetBlue have restarted regular passenger service to the Cyril E. King airport serving the island of St. Thomas and offering international flights. Check with your favorite airline to start making plans on escaping the icy, wintery weather where you live. There’s nothing better than checking the weather while sipping our famous Rum Punch aboard a Take It Easy Charter Yacht! The good news is that great progress has been made rebuilding hotel and vacation accommodations, so you can book reservations now. Here’s a complete list of U.S. Virgin Island hotel property updates compiled on December 12, 2017 at http://www.vinow.com/recovery/hotel-property-updates/virgin-islands/. Taking a fun, sun-filled Caribbean vacation in the USVI or BVI is the best way you can help the people in the islands recover faster. Take a look at our great rates on booking a luxury, private yacht in the US Virgin Islands or British Virgin Islands. We love our customers and look forward to seeing you on a custom yacht excursion on Take It Easy Charters!